import substitutes. The first products to be developed were Wedge Gate Valves, Globe Valves, Check Valves, Ball valves & Strainers. industry of India at that time. i.e.Y-type globe valves & Flush bottom valves. manufacturing Trunion mounted Ball Valves & Parallel Slide gate valves. 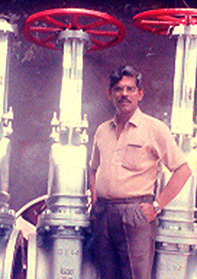 In the new millennium Shalimar Valves expanded to a bigger unit in Rabale, Navi Mumbai tripling its capacity over the already doubled capacity in 1992. The hi-tech new facility catered not only to our capacity expansion but also facilitated manufacturing of new products - Pressure seal Gate, Globe & Check valves and forged steel valves- a different category, other than cast steel valves. The company grew in leaps and bounds. angle slurry valves � a major import substitution. among current activities in Shalimar. 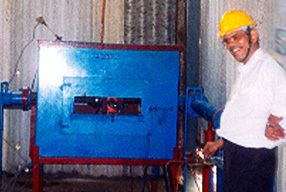 Shalimar�s growth. In 1983, working on backward integration, the company invested in a foundry � Aqua Alloys that makes castings not only for oil and gas sector but also wear-resistant castings for the cement and construction industry. In 1995, to strengthen its supply chain, Shalimar integrated forward by investing in Mega Engineering, a fasteners manufacturing unit. Growing further and then working on lateral integration, the group founded in 2004 Silverline Industrial Engineering in UAE, a steel fabrication company for the oil and gas industry. Growing in leaps and bounds the company invested in Manarah Arabiah � a company in electro-mechanical contracting in UAE & Oman. The group also owns a branding and media company � Liquid Communications FZE in UAE & Oman and a general trading company � Xcell Gen. Trading - UAE. 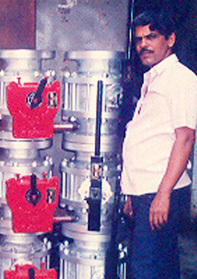 Over three decades Shalimar Valves have evolved to create a company known for stablishing long-term partnerships and customer delight.